How do you make a birthday extra happy? By celebrating it at the happiest place on earth, of course! Disneyland is well-known for being the go-to destination for those wanting to make that special day one to remember. And this year is a particularly good time to go for birthday shenanigans since Mickey and Minnie are celebrating a landmark birthday all year long. (The dynamic duo turned 90 last November.) Here's seven ways to make your Disney birthday even better. 1. Get a birthday button. To get a cheery "Happy Birthday!" from oodles of friendly cast members on your special day, you'll want to proudly wear one of Disneyland's Happy Birthday buttons. These large badges, which can be customized with the celebrants' name, are available at City Hall at the end of Main Street and at Guest Services at California Adventure. And even better: They're free! 3. Get a Disney themed gift basket delivered. If you're staying at one of the Disneyland hotels, you can have a deluxe Disney-filled basket delivered right to your room. There's a wide selection of options for various ages and ones that are specific for making birthdays happy. 4. Have your room decorated for the birthday girl or guy. While you're whiling away the day at the parks, you can have the In-Room Celebration team secretly come to your Disneyland Resort hotel room and sprinkle all sorts of birthday magic around. They'll sneak in balloons, goodies, candies, a Mickey Mouse birthday hat, and put a special banner on the door. Insta-party! 5. Grab a pair of Birthday ears. We all know that Mickey and/or Minnie ears are a key part of a stylish Disneyland visit, so naturally, birthday ears are totally mandatory on your day. Disneyland always has a couple versions in stock, and being that every day is some one's birthday, that makes total sense! 6. Have the characters sign a very special birthday card. Usually, it's the kids who line up to get Disney celebrities' autographs, but there is no rule saying that grown-ups can't get their signatures too. For a unique souvenir, bring a birthday card to the parks and have all the characters sign it! 7. Get the birthday vibes on the rides and parades. 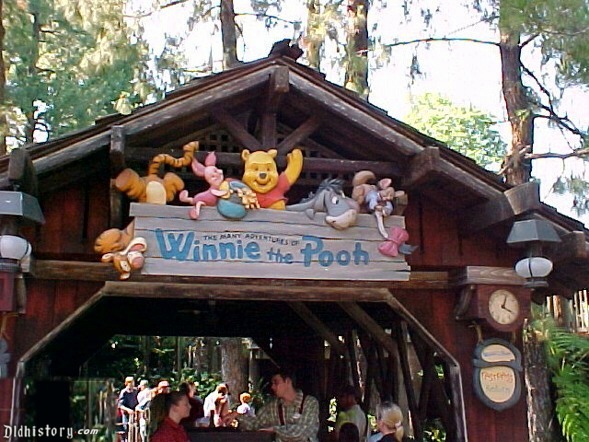 Head to The Many Adventures of Winnie the Pooh ride for a honey-hued birthday celebration for everyone's favorite bear. Or ride Alice in Wonderlandl where it'll be the one day of the year that "A Very Merry Unbirthday to You!" won't apply. Make sure to witness Mickey's Soundsational Parade and bask in the glow of Mickey and Minnie's epic (yet unedible) birthday cake.